From belts and rollers to head, tail and impact drums, OPS has the parts, services and logistics to keep your conveyors up and running with great value for money. With the ever growing hire fleet and owner/operator client based, OPS started the Conveyor Services division in 2011 to ensure the client has access to all conveyor belts and components from the one place along with their crushing and screening parts. The division supplies conveyor belts, lagging services, rollers, scrapers, head and tail drums and impact beds to name just a few. We provide our clients with value for money, sourcing directly from the manufacture to offer very competitive retail prices. 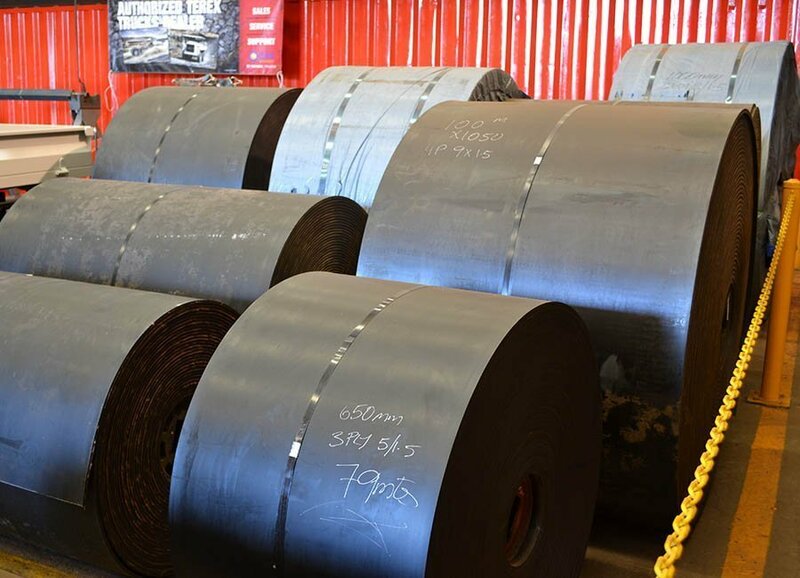 OPS Conveyor Services keeps stock of conveyor belting, lagging and components at their warehouses for immediate delivery. We have fully trained Belt Technicians, Trades Assistants, Parts Sales Staff offering belting and components, as well as splicing teams to install belts either on the clients site or in one of our workshops. OPS can offer services in hot splicing, cold splicing or mechanical fastening for small to large projects on both mobile and fixed plants. OPS Conveyor services also has a lagging service for re-lagging of drums as well as the supply of new manufactured drums lagged to the client’s specification. OPS stocks most standard specifications of conveyor belts for both our own equipment and for opposition brands. We have enough data on our competitor’s equipment to determine required belt specifications in most cases. If not, a few simple questions is all we need to supply the belt you are looking for. We have some standard belts ready made on the shelf, but we can also make your belt to order in our workshops. In most cases dispatched within 24 hours of the order being placed. Due to the wide variety of belt specifications, not all belts can be stocked but OPS can supply most specifications required with a special order from our factory at a rate that is price competitive. The OPS Conveyor Services team is ready to pick or manufacture your belts to order as well as packing and dispatching all the conveyor parts orders. Whether it’s next flight, overnight or just general freight, you can rest assured that we’ll have your parts packed and freighted on time every time. We also run a daily delivery drop-off service for local deliveries or drop-offs to freight carriers.